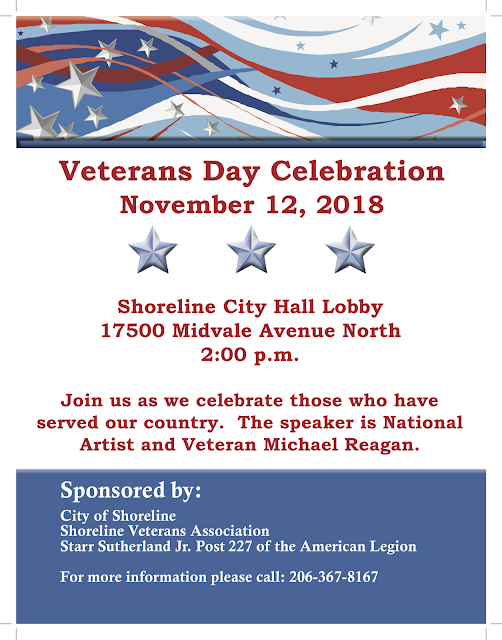 National artist and veteran Michael Reagan of Edmonds will be the speaker at the Veterans Day Celebration on Monday, November 12, 2018 at Shoreline City Hall Lobby 17500 Midvale Ave N, 2pm. All are welcome to attend. Free parking in city garage behind city hall.